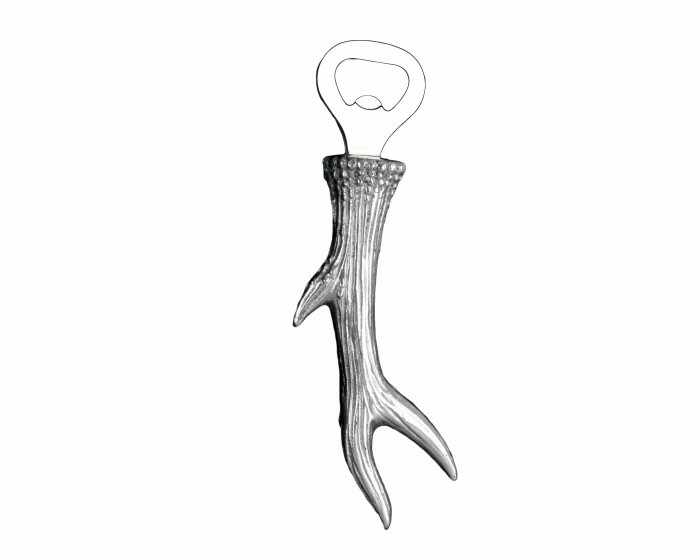 Wow your guests with this expertly crafted Antler Bottle Opener from Arthur Court. 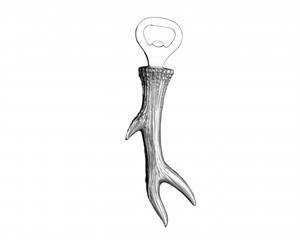 The handmade, aluminum opener extends out from the horn's base, while our craftsmen finished the piece with a two-pronged design. Fine lines and exquisite detail highlight this realistic, sand-cast piece. Size: Length: 7.0" / Width: 3.0"